Metric's latest LP Art of Doubt finally arrives today, and to mark the occasion, the band have unveiled a video for "Now or Never Now." The song followed up previous singles "Dark Saturday" and "Dressed to Suppress" earlier this month, and it has just been given another breath of life thanks to a clip directed by Lorraine Nicholson. 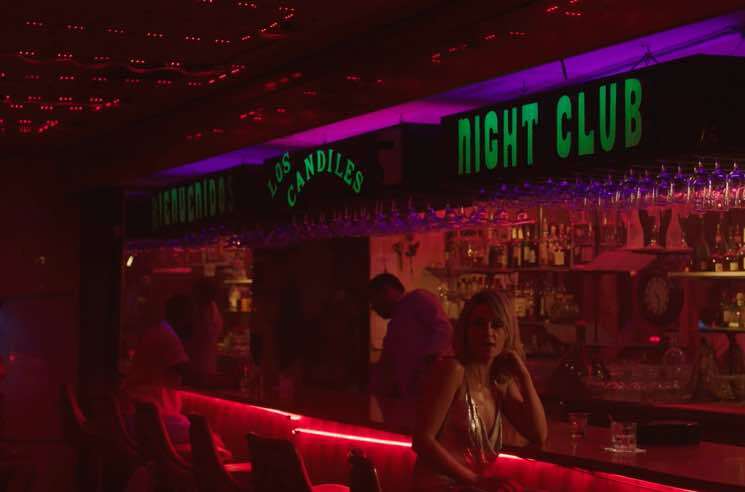 The visuals were shot over three days in Miami and Los Angeles, and capture the honest dark and depressing nature of nightclubs. "Stylistically, Lorraine referenced Brett Easton Ellis' book Less Than Zero and the film's portrait of youth in that era," frontwoman Emily Haines explains. "This was a night shoot leading to dawn as Lorraine wanted to place the video in those most questionable hours of the morning, taking us from lonely night club grit to the redemptive light of dawn. I'm profoundly lost and alone with random uncaring strangers as the song unfolds. The rest of the band is on an urgent quest to find me and rescue me from this sad existence but they always arrive too late." Watch the brooding, neon-lit clip for "Now or Never Now" below. Art of Doubt is out now on MMI/Universal.